An equally useful advantage of written Chinese is that people can read the literature of 2,500 years ago as easly as yesterday's newspapers, even though the spoken language has changed beyond recognition. If Confucius were to come back to life today, no one apart from scholars would understand what he was saying, but if he scribbled a message people could read it as easily as they could a shopping list. The fact that a modern Chinese can read texts written 2,500 year ago "as easily as they could a shopping list" seems rather surprising, at least to me. In my language, and — as far as I know — also in English, that would be impossible. So, I'm skeptical of that claim. I agree with @RedGrittyBrick's negative answer to the strict interpretation of @Carlo_R's question, i.e. whether reading Classical Chinese is no more difficult than reading modern Chinese for a person educated in modern-day China. However, I think that the question, in spirit at least, admits a looser, but still interesting interpretation, that is "Whether a person educated in modern-day China or Taiwan can read ancient Chinese texts with an unusual fluency compared to speakers of other language systems and of comparable educational backgrounds reading ancient texts in their language?" I'll ignore the Ship of Theseus paradox as to whether we can meaningfully talk about a single "language" encompassing both its modern and ancient variations as it changes over time. I'll hand-wave it by saying that modern linguistics seems perfectly fine with labels such as "Old Chinese" or "Old English" and leave it at that. To my looser interpretation of the question, I would answer yes. There's also some details in this section that I will elide initially and save for later. The strongest piece of evidence for this comes from (PRC) China's infamous gaokao exam (taken by all secondary school graduates applying for university), whose Chinese language section contains reading comprehension questions on Classical Chinese texts in their original wording without an accompanying modern commentary to help. As a result, it is a fair extrapolation to say that the typical graduate from the (PRC) Chinese secondary school system can read Classical Chinese texts and be able to understand them in broad strokes, if not necessarily in minute detail. Translate the underlined sentences of the Classical Chinese text into modern Chinese. Although Taiwan does not have the gaokao exam, its education system has a comparable amount of material dealing with Classical Chinese. This dubious link has some information talking about policies in place to increase students' exposure to Classical Chinese. I include it because it happens to be English and it more or less echoes what Xinhua states here, namely that 65% of the humanities curriculum in secondary school will be devoted to Classical Chinese (a source direct from the Taiwan government's mouth would be appreciated here). The absence of treatments of equally ancient documents in their original form (even with a modern English transcription) used as widely in secondary schools for speakers of most other languages is unfortunately the best evidence I can find that this kind of familiarity with the ancient language is unusual to Chinese (I know absence of evidence isn't evidence of absence... but if anybody can give me examples, I'd be happy to see them). I don't think it's unique to Chinese (I suspect that modern Greeks' comprehension after a typical secondary school education of varieties of ancient Greek is comparable), but I do think such a familiarity is rare among languages used today. An interesting background note to this question is if you asked it a century ago, the answer, even for the strict interpretation of this question, would have been an emphatic yes for the typical educated Chinese person and a definite no overall (due to significantly lower literacy rates). The fact that only a century ago the question would have been much easier to answer for an educated Chinese person is actually an indication of why modern Chinese people might have an unusual grasp of Classical Chinese as compared to speakers in other languages (see "What Exactly is Classical Chinese"). One of the details that I skipped over is that the gaokao test is written in Simplified Chinese, as are the Classical Chinese texts it presents. @RedGrittyBrick brings up a good point that the original Chinese texts would have been written in Traditional Chinese and not Simplified Chinese and hence someone brought up in the PRC apart from Hong Kong would have difficulty reading the texts. In fact even someone intimately familiar with Traditional Chinese might have some difficulty with recognizing, let alone reading, the characters of text written 2500 years ago (but perhaps not those written several hundred years later). The difference between scripts as written > 2500 years ago and modern scripts is much larger than the difference between Traditional Chinese script and Simplified Chinese script. Different scripts of ancient Chinese can have radically different levels of readability. Indeed I wouldn't surprised if there were a non-trivial number of scholars specializing in the study of Confucian texts who would be unable to read the oldest scripts and cursive scripts (probably because there's little need since usually our most complete copies of these texts don't extend as far back in time as the authorship of those texts). 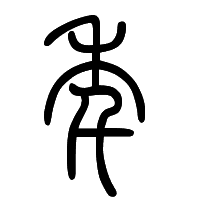 As an example, take the character for "year" as it is written currently in both Traditional and Simplified (Image 1) and how it would have been written in "seal script", the dominant script of 2500 years ago (Image 2). The difference in these scripts is immense, arguably even more so than the difference between Simplified and Traditional. Hence, I would argue that when writing a Classical Chinese text using Simplified Chinese instead of Traditional Chinese we are merely transcribing the text from one script to another as one would do when comparing cursive English to non-cursive, printed English, especially because we can preserve a (practically speaking) one-to-one correspondence between the characters of each script that is no less severe of a change than transcribing from the original script of the text itself to a printed book fit for a modern audience to read. However, I wanted to add some additional details to @RedGrittyBrick's account of the difficulty someone brought up in the Simplified Chinese system would have reading Traditional Chinese. Even people brought up in the PRC's education system have a passing knowledge of Traditional Chinese characters. Ceremonial uses of Chinese characters still tend to use Traditional characters even in mainland China. Perhaps the most prominent example of this is the practice of 春联 (New Year's couplets), short phrases written on decorative paper which are hung and shown often enough to be known by heart. Although people may not be fluent, readers of Simplified Chinese are also not completely lost when trying to navigate Traditional Chinese. Incidentally, this is also purely anecdotal and hardly strong evidence, but Baidu's "Knowledge" forums have a slew of questions asking things like "为什么我们中国大陆人认识繁体字而台湾人不认识简体字" ("Why is it that mainland Chinese people can recognize Traditional characters, but Taiwanese people can't recognize Simplified characters?") and "台湾人看简体和大陆人看繁体，哪个更困难些？" ("Taiwanese people reading Simplified Chinese and mainland Chinese people reading Traditional Chinese, which is harder?") to which the top-rated answer is "I believe it's harder for Taiwanese people to read simplified Chinese." Keep in mind there's probably some nationalistic fervor going on here, but at least there's evidence of some comprehension of Traditional Chinese. 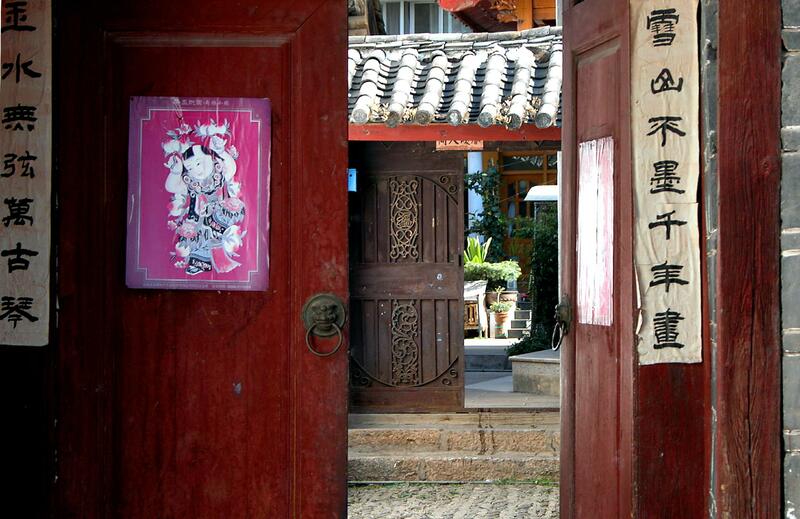 An image of New Year's couplets from Yunnan, China is below, written entirely in Traditional Chinese characters (credit Peter Morgan, posted on Wikipedia here). As a side note, much of (but not all) Simplified Chinese is the codification of some simplifications that were already in use informally for at least a millennium. For a compilation of some these simplifications see (Editors Liu Fu, Li Jiarui. 宋元以來俗字譜/A Glossary of Popular Chinese Characters Since Song and Yuan Dynasties. Nanjing: Academia Sinica, 1930.). The first example that I could find when just flipping through was a document on page 18 where ("話" becomes "话"). Thus in the event that a Chinese visitor from thousands of years in the past was hastily scribbling a message rather than formally writing something out, it is possible that knowing Simplified Chinese rather than traditional Chinese might even be beneficial! So in the hypothetical situation that a sufficiently literate unfortunate soul from ancient China is blasted into modern-day China, literary communication would still probably be possible even if he or she is met by a PRC adult who has been brought up in the Simplified Chinese system. How Fluent is Unusual Fluency? The other point I initially neglected is "how fluent is unusual fluency?" The questions on the gaokao exam give us a hint. They are similar in flavor to the questions that a side-by-side commentary on Shakespeare might answer for the reader for particularly difficult sections of his works. Hence I would peg the difficulty of a Classical Chinese text for the average Chinese secondary school graduate as in the ballpark of a secondary school graduate English reader reading a difficult (linguistically, not necessarily from a literary perspective) section of Shakespeare. Another analogy for native English speakers might be people who have taken one or two French (or any other language that shares many orthographically similar cognates with English) classes in high school trying to read a French newspaper. They'll be able to read it, albeit it perhaps with some difficulty. They will also recognize a lot of the words (although sometimes they will be tripped up by words that have different meanings in English than in French even though they are cognate and are spelled similarly) just because they are in English as well. Finally, they should be able to give a fairly accurate description of what the article is talking about, although the details might be off. Also of note, although Chinese secondary school graduates would have some grasp of how to read Classical Chinese, it is far from the case that they would be able to write Classical Chinese. The other thing that inhibits understanding of Classical Chinese texts is the heavy reliance on historical events, people, nations, and works. These would probably be the most difficult for modern readers to grasp; these are, however, reasons extrinsic to the language of Classical Chinese. For the original question of somebody teleported from the future, it is unlikely that the notes they scribble to the modern day Chinese speaker will have flowery literary references, but for most of the extant literature, this is a major reason for why vernacular glosses for the literature exist. Several commentators pointed out that the fact that professional translators wrestle over the translation of words to be evidence that Classical Chinese is clearly an extremely difficult language for modern Chinese speakers to grasp. Like the problem of allusions, this is really more an artifact of philosophical movements which use Classical Chinese rather than the language itself. Although translation is clearly difficult, I don't believe that this reason by itself is evidence either way. For the most part the reasons behind why certain words are difficult to translate into modern English hinge either on non-linguistic reasons or are based on inherent difficulties in translating any language into English. For example Wittgenstein's Tractatus is difficult to translate not because German from the first half of the 20th century is incomprehensible to the modern German speaker, but because of the vast philosophical baggage behind the Tractatus. Likewise, if we look at the most common "difficult to translate" terms that pop up in Classical Chinese works, the words are not difficult in the sense that a modern Chinese reader would not understand what the word means linguistically, but rather difficult because of the philosophical background and connotations that the word carries which are specific to a single philosophical movement. Two such terms are “道" (the dao in Daoism) and "仁" (ren, Mencius' favorite catchphrase). “道" would be universally recognized by any modern Chinese speaker and its modern meanings are more or less indistinguishable from English translations of Daoism (e.g. the "way," the "path," the "direction," the "word" or "to speak"). The difficulty in translation comes not from the fact that its meaning in Classical Chinese is drastically different from its modern meaning nor is it an obscure character that nobody can read. Its translation-related complexity arises simply because of the insane amount of nuance that Laozi and Daoists have attributed to the word rather than its meaning in Classical Chinese. 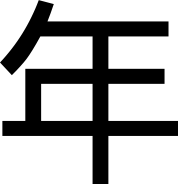 "仁" (ren) follows a similar pattern. It is a word with which virtually any modern native speaker of Chinese is familiar and its use in ancient texts in a non-Mencius context largely agree with its modern meaning (which carries tones of love, acceptance, and compassion). However, both its meaning in Mencius as well as its modern word are both difficult to translate. The former because, like dao in Daoism, Mencius' assigns a special meaning to ren predicated on his own philosophy, and the latter because, like any other modern language, it's one of those words that just happens to lack a single, nice equivalent in English. Note that this does not imply by any means that the vast majority of Chinese words' everyday meanings have failed to changed from their ancient roots (they have). However, difficulty of translation is a rather poor metric of this change. So far I've been talking about "Classical Chinese" (文言文), a category which encompasses everything from Confucius to the early 20th century and is widely used in China to mean such (the gaokao exam certainly did). This categorization is fairly problematic because it implies that Chinese did not change over this 2400 year period when in fact it did and in fairly significant ways (loan words from Buddhism, new poetry styles, natural mutations in the language, etc.). However, the fact that China tries to fit this huge swath of time period under a single umbrella of "Classical Chinese" is indicative of the active effort during this time to preserve the writing style of Confucius. The Imperial Examination system which held sway over this time from the Han to the Qing dynasties focused almost exclusively on the Chinese used by Confucian texts (for a direct quote see the book review, China's Examination Hell. The Civil Service Examinations of Imperial China. by Ichisada Miyazaki; Conrad Schirokauer Review by: C. P. FitzGerald Pacific Affairs , Vol. 50, No. 1 (Spring, 1977), pp. 128-130, which contains "The other developing defect was the strictly classical content of the passages to be answered")*. Of course new syntax, new vocabulary, and the general shifts in literary style still affected the language despite efforts to the contrary, but the fact that there was a concerted and systematic effort for thousands years has led to the current situation where Chinese from 2000 years ago is still at least generally intelligible from the viewpoint of a modern Chinese reader, who is only 100 years removed from the last effort to preserve the written Chinese language. It also had the rather drastic side effect that by the 20th century, it was impossible to understand any formal literary work when spoken aloud. The written language and the spoken language had become widely divergent, hence why Classical Chinese is generally not used today. For example, Hu Shih, one of the leaders of the modernizing May 4th movement, wrote a polemic called "A Preliminary Discussion of Literature Reform" in which he railed against what he perceived to be a reprehensible disconnect between written Chinese of his time and comprehensible written communication. See here for an online version in Simplified Chinese of the article (the original citation is 胡適. "文學改良芻議." 新青年: 1917); unfortunately I can't seem to find an authoritative English translation. Tellingly, among 8 points that he laid out, three of them dealt with an overuse of Classical Chinese. These demonstrate both an appreciation of the difficulty in reconciling the written language with the spoken language of Chinese as well as the strong adherence to Classical Chinese followed by even fairly modern writers. As a somewhat amusing addendum, Hu Shih's original article reads as extremely formal and Classical in modern Chinese just one century later. According to the exact wording of the question, @RedGrittyBrick is right. Not only is reading Classical Chinese significantly more difficult for a modern Chinese reader of a typical educational background, even students of Traditional Chinese would have a hard time recognizing the characters of works 2500 years ago, let alone read what a time-transported Confucius might confusedly scrawl for a modern passer-by. However, if we look at works written in the last 2000 years rather than the last 2500 years, and allow the modern Chinese reader some leniency in not having to get the details, he or she could probably do an adequate job of deciphering the text, all the more so if he or she learned Traditional Chinese along the way. Also, wow, this turned out a lot longer than I expected. *That unfortunately was the best piece of evidence I could gather up; I'll see if I can get the actual book and pull a quote from there as necessary. Articuno's generous bounty donation led me to revisit this question and I realized that another subtlety to the question as implicitly framed by Bill Bryson is whether it is the knowledge of modern Chinese language that imparts some ability to read Classical Chinese or whether it is simply the modern Chinese education that yields this ability. Of course, to some degree the two are inseparable; if a language speaker goes through a certain education process, that education process is bound to have a profound influence on his or her language. As such if an entire people go through the same education, then that people's language will also be similarly affected by that education. Nonetheless, there is still a meaningful difference between the two. The 19th century university curricula of English and American universities generally still required knowledge of Latin, indicating a heavy reliance on Latin. See as a representative example the 1851 University of Pennsylvania catalog here, which indicates that to be admitted, a student must have read Caesar, Ovid, Vigil, Cicero, Horace, Xenophon, and Homer and must also be proficient in "Greek and Latin Exercises" (page 29). However, modern English readers do not need a similar Latin background to read and fully comprehend the overwhelming majority of 19th century English works. Hence, in this case it makes sense to say that the 19th century English education imparted knowledge of Latin, but the 19th century English language did not. For the most part, as the gaokao evidence shows, the modern Chinese education system is responsible for comprehension of Classical Chinese, but the modern Chinese language, especially at its most formal and literary levels, still gives the modern Chinese speaker a basic familiarity with Classical Chinese, which although rudimentary, nonetheless exceeds that of most other languages. Perhaps the clearest evidence of this fact is that textbooks of advanced modern Chinese aimed at non-native Chinese learners include lessons on Classical Chinese. I list a couple examples here (apologies for the Ivy League bias, those are just the ones that happen to be most visible and hence public). Shengli Feng, Lulei Su et al. Comprehensive Chinese Advanced Writing: Writing and Truth. Higher Education Press: Beijing, 2007. This two-volume series, has two 11th century Song Dynasty Classical Chinese readings in their original Classical Chinese: 读孟尝君传 ("On Meng Changjun"), a work about the Warring States-era prince Meng Changjun and 五代史伶官传序 ("A Preface to a History of the Five Dynasties' Lingguan Chuan" where "Lingguan Chuan" refers to the records of court performers), a work about the successes and failures of one of the Five Dynasties' era empires. Yanfang Tang and Qinghai Chen. Advanced Chinese: Intention, Strategy, and Communication. Yale University Press: New Haven. Chapter 11 in the table of contents contains a section called "Terse and elegant: using words and structures from Classical Chinese." The Princeton Language Program: Modern Chinese. This is actually a long series of books. I note it here because it has five books on Classical Chinese. The fact that the textbook authors considered a basic primer on Classical Chinese necessary for modern Chinese strongly suggests that an elementary understanding of Classical Chinese is intrinsic to the modern Chinese language and is not just a product of the Chinese education system. In general, writings which demand formality or terseness in modern Chinese tend to become more Classical in nature. The terseness found in public placards and notices tends to be a good demonstration of this. The examples will all be linked to and not embedded, because I'm not sure about licensing issues concerning the images. A good example is here, which combines modern terms with phrases and phrasing which would not be out of place in a Classical text, such as "挺身而出 见义勇为." This might be translated as "Boldly and unflinchingly stride forth and upon seeing injustice, conduct oneself bravely and correct it" or perhaps less awkwardly, but less accurately "Stand up for what's morally right! "; I'll explain the awkwardness later. The first part of this sentence is from a Yuan Dynasty work 西厢记 ("Romance of the West Chamber") and the second is a paraphrasing of a statement from the Analects. This is in part due to heavy usage of four-character idioms, a characteristic pattern of Chinese speech and writing which usually takes phrases that were originally four characters or have been condensed to four characters and uses them as idioms. This is one reason why Chinese signs and notices often sound hilariously mistranslated. The Classical Chinese-like nature of them means that they often have a lyricism and literary register which is completely out of place for their equivalents among English signs. The sign here, for example, if translated to the appropriate register in English might be "Protect our plants and our environment!," but this loses some of the meaning. On the other hand, translating the meaning of the sign results in something which would seem overly lyrical as a notice, namely "Lovingly protect our greenery and [thereby] beautify our environment." Can Chinese people read the literature of 2,500 years ago as easily as yesterday's newspaper? The communist government of China changed the writing system to a simplified form. Consequently, Chinese people educated in communist china cannot easily read Chinese material written in pre-communist times or in non-communist regions†. Whilst Bryson's assertion seems overly simplistic, we should take it in context. He is writing a book about English. Here is a text written in England sometime between 8th and 11th C.
I believe that Bryson's point may be that literate Chinese people who can read Modern Traditional Chinese can also instantly recognize (most of) the Chinese characters written thousands of years earlier. 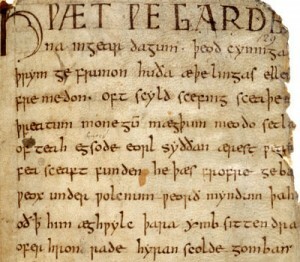 In England, people cannot instantly recognize words written thousands of years ago in (what is now) England. Mainly because English isn't Old-English isn't Saxon, isn't Latin and isn't Brythonic. Over thousands of years, languages change, merge, split and are replaced. There are a number of factors that have to be considered when discussing the readability of ancient texts. Changes in writing system. Particularly the shape of "characters" (smallest independent graphemes). Changes in words. Archaic words are often replaced by modern equivalents. Changes in modes of expression. Bryson seems to be ignoring many of these. Even if a Chinese person recognises all the Chinese characters in a passage, they may not comprehend it's meaning. I can read all the letters as easily as those in my shopping list. I can read many of the words (with somewhat more effort), I'm not entirely sure of it's meaning. From comments, I expect many of these sorts of difficulties apply to reading and understanding ancient Chinese texts. New York professors of ancient Chinese literature who are also of Chinese ancestry. A bunch of friends of Bryson who he sees as "Chinese". The majority of people of PRC nationality. The majority of people who consider themselves as Chinese (ethnicity) regardless of where they were born. If we assume the first or second groups the answer might well be Yes. I don't have my copy of the Bryson's book to hand but I suspect it is probably fairest to assume the last group in my list. I suspect that communist-educated Chinese still predominate and so it is the reading abilities of the bulk of PRC citizens we should be considering when answering this question. Since I grew up in Taiwan, where reading and writing in traditional characters is the norm, simplified characters were a novelty and a bit of a challenge, and perhaps, something to be sniffed at. But when my first job after college led me to Beijing to work as a literary translator, I spent the first week furtively consulting a little manual of “Simplified/Traditional Character Conversion” before I became fully comfortable with the new system, including learning to write my name in a way that was comprehensible to desk clerks. The writer Ba Jin, in his essay "Thoughts: Reform of Chinese characters" (simplified Chinese: 随想录·汉字改革; traditional Chinese: 隨想錄漢字改革; pinyin: Suí xiǎng lù hàn​zì gǎi​gé), urged caution in any reforms to the written Chinese language. He cited the inability of those educated in Hong Kong or Taiwan to read material published on the mainland, and vice versa, as a great disadvantage of simplified Chinese. Note: most sources I've read seem to agree that those fluent in either traditional or simplified characters can learn the other relatively easily. However a learning process is involved. It is not like reading your shopping list if you have not already made the effort to learn both systems. ‡ It is probably more accurate to say that the end result can be achieved despite the additional complexity. It's hard to argue simplifying had no beneficial effect. Making a clear break with the past and rendering your political opponents incomprehensible may not have been an overt goal - but I can't help feeling this idea may have been attractive to senior communists and helped smooth the path for the project. if [Confucius] he scribbled a message people could read it as easily as they could a shopping list. Two difficulties: (1) Difficulty in recognizing the script. (2) Difficulty in understanding the meaning. The first two characters (田 and 車), for example, are quite recognizable. In contrast, the third and fourth characters (孔 and 安) are very different (at least to anyone familiar only with modern Chinese script). So, simply because the script was so different, it would be impossible for a modern Chinese person (without special training or education) to read this inscription "as easily as a shopping list". 便宜: "cheap, inexpensive" v.s. "adjective for something that one should do because it is to one's advantage". 大风: "big wind" v.s. "leprosy" . 夫人: "wife" v.s. "that person". It is admittedly rather more common for a modern Chinese person to have studied Classical Chinese than, say, a modern Englishman to have studied Old English. Nonetheless, the study is rarely to very great depth and mostly by rote. Bright high-school Chinese kids taking the gaokao for example will have memorized tomes of texts by Confucius or Mencius regarding human nature or what-not. They can spit it back to you and tell you roughly what is meant, but only because they've been taught it and have committed it all to memory. But if "Confucius were to come back to life today" and write down an actual shopping list, or ask for directions to the nearest Walmart, these same kids would not be able to comprehend it at all. P.S. Undue emphasis has been placed on the difference between traditional and simplified characters. This difference should never even have been mentioned in the context of this question, since it is so completely minuscule in comparison to the differences between say modern and ancient Chinese. It is akin to using the differences between American and British spelling as an analogy, when discussing the differences between modern English and Old English. This book is interesting, but filled with mistakes. Initially I thought that it was merely his limited understanding of Chinese that led him to make some laughable mistakes ("If Confucius were to come back to life today, no one apart from scholars would understand what he was saying, but if he scribbled a message people could read it as easily as they could a shopping list."). Who knew that when he talked about the Eskimo, French, and Finnish languages, he would also make elementary mistakes, as pointed out by readers of those respective nations. See also the comments, which all agree that Bryson's remark is simply wrong. Of course, these are just the opinions of some random modern Chinese people who happen to be on some online book review site; they may have no idea what modern Chinese people as a whole are like. Here is another Chinese book review with a similar remark. as many others have pointed out, every page is just error after factual error. Bryson simply does not understand how languages work, and whatever his sources are are frequently wrong. My favorite mistake is when he claims that in Finnish, there is only one swear word, ravintolassa, meaning "in the restaurant" (page 214). Now, ravintolassa DOES mean "in the restaurant," but that's ALL it means. Finnish has plenty of native swear words (saatana, perkele, vittu, jumalauta, and more), and I still cannot imagine how Bryson came to the conclusion that, not only did it have only one, but that it was the word for "in the restaurant." It's truly mind-boggling. Of course, that many book reviewers consider Bryon's book to be riddled with errors does not mean this specific claim of his is false. But it does give us further reason to be very skeptical. Not the answer you're looking for? Browse other questions tagged language china . Is “Your Baby Can Read” effective and helpful?